Die Klimazwiebel: What is the problem with science popularization? What is the problem with science popularization? People outside the UK may not know that there is a new star in science popularization: his name is Brian Cox, a professor of particle physics at Manchester University who works on the ATLAS experiment at the Large Hadron Collider at CERN. He is also presenter of various science programmes on the BBC, boosting the popularity of subjects such as astronomy, physics and biology. During the 1990s he also was keyboard player for the pop band D:Ream (top hit "Things can only get better", the hymn for New Labour). In recent months he has been involved in several debates about the role of science in society, and in policy making. Last December he wrote an opinion piece with Robin Ince for the New Statesman entitled ‘Politicians must not elevate mere opinion over science’, which provoked a debate about the relation between science and politics, the function of the social sciences, and science and technology studies, among other things. Interested readers will find related material easily on the web (see, for example, here, containing a comment from myself). Wonders of the Solar System; Wonders of the Universe; and, this year,Wonders of Life. Brian Cox stands misty-eyed on a cliff top everywhere I look. He has a chilled-out air for someone with such a busy filming schedule. Instructions to appreciate the wonder of science are everywhere. There's theWonder season organised jointly by the Barbican and the Wellcome Trustwhich starts tomorrow; the Science Museum's World Wonders Trail; the parliamentary select committee report on introducing wonder to the national curriculum; and the 2011 TED conference titled The Rediscovery of Wonder. But am I alone in finding this cheerleading problematic? It's ironic that the public engagement with the science crowd is so pro-wonder, because they're so anti-religion. "All the great religions have a place for awe, for ecstatic transport at the wonder and beauty of creation," writes Richard Dawkins. "And it's exactly this feeling of spine-shivering, breath-catching awe – almost worship – this flooding of the chest with ecstatic wonder, that modern science can provide." The rhetoric of wonder is all about encouraging participation. But this infantilising power dynamic is not conducive to confident involvement or critical inquiry. It creates an inaccessible aura around science which has little to do with the everyday practicalities of what goes on in labs. Science is essential to our world, but like looking after children, the nitty-gritty is often prosaic and incremental. In its evangelical, popular guise, science becomes a matter not of reality or scepticism but of anti-intellectual reverence. All we can say in response is, wow. There's another concealed power dynamic at work. Scientists often complain of a lack of prominence in our culture, as compared to the arts or humanities. Science should be discussed on TV culture shows, they argue, alongside the latest book, film or play. But this complaint obscures the unquestioned prominence of popular science in the media, in education, in museum culture and in our bookshops. We only have to follow the money: funding for public engagement with science initiatives, such as STEM, is bountiful compared with the arts. It was not surprising the comments section attracted fierce replies, many of which were knee-jerk, accusing Glaser of being 'anti-science'. 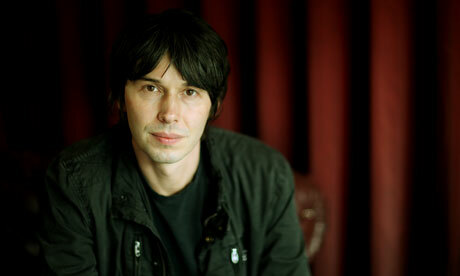 On Twitter, @ProfBrianCox himself pronounced that her piece was a 'Lazy badly argued intellectually barren cliché'. I wonder if he misses something important. Science communication is a hot topic, not only because scientists find so much public appreciation in television programmes (such as Cox on the BBC; there are similar programmes in Germany, and it would be interesting to compare them). It is also hot topic for media scholars and social scientists who try to analyse (as part of their professional activity) exactly these activities. And it turns out that there are many assumptions made by the practitioners which are not borne out by the evidence of scholarship (see my previous post 'Climate scientists on a learning curve'). The category of the producerly is needed to describe the popular writerly text, a text whose writerly reading is not necessarily difficult, that does not challenge the reader to make sense out of it, does not faze the reader with its sense of shocking difference both from other texts and from the everyday. It does not impose laws of its own construction that readers have to decipher in order to read it on terms of its, rather than their, choosing. The producerly text has the accessibility of a readerly one, and can theoretically be read in that easy way by those of its readers who are comfortably accommodated within the dominant ideology ... but it also has the openness of the writerly. The difference is that it does not require this writerly activity, nor does it set the rules to control it. Rather, it offers itself up to popular production; it exposes, however reluctantly, the vulnerabilities, limitations, and weaknesses of its preferred meanings; it contains, while attempting to repress them, voices that contradict the ones it prefers; it has loose ends that escape its control, its meanings exceed its own power to discipline them, its gaps are wide enough for whole new texts to be produced in them— it is, in a very real sense, beyond its own control. To assume one could operate in the realm of popular culture and remain in control of the text produced is one of the great illusions which popularizing scientists seem to harbour. Engaging in producerly texts, thinking the rules of the readerly text would (obviously!) apply, is a category error which needs to be highlighted. Mixing genres can be as risky as mixing chemicals if you don't know what you are doing. There is still much to be discovered in the stock of social sciences. Climate scientists seem to become sensitized to the issue, will science popularizers follow? Interesting blog. It would be great to have some more information about two points though. Is there any evidence for the illusion that scientists seem to harbour? "To assume one could operate in the realm of popular culture and remain in control of the text produced is one of the great illusions which popularizing scientists seem to harbour." Is there any empirical research around this issue? You also say that climate scientists seem to have become sensitised to the issue of textual genres. Again, it would be great to have some more information about this topic. In what way have they become more sensitised and how does this manifest itself? Looking forward to learning more about these textual issues! Here von Storch recognizes that he does not control the meaning of a statement once it enters public discourse. Was dagegen tun: Versuchen so zu formulieren, daß eine Mißdeutung unmöglich oder zumindest schwieriger wird. Das gelingt nicht immer. An anderer Stelle deutlich und konsistent sagen, welche Position man einnimmt. Ich mache das bisweilen auf meiner eigenen web-Seite, und würde das hier auch gerne tun, wenn Sie mir das wörtliche Zitat schicken könnten. Here he points out that he is most likely to remain in control when he controls the medium in which he communicates and the content, i.e. his words on his website. There are other climate scientists who take a different approach. These scientists criticise the media for distorting their messages, for misrepresenting the science, for creating a false balance where there is none, etc. In the language of Fiske, they assume that their texts are either readerly or writerly. In the first case they would need to have produced a closed and easy to understand text where the reader is passive recipient. This is unlikely to work in a world where controversies surround the issue. In the second case they would produce a challenging text which needs deciphering, which can only be done by competent experts, such as the climate scientists themselves, or with the help of mediators, journalists, translators. This is not going to work either as the mass media does not like footnotes. So they are left with the producerly text which invites interpretation and is open to that. Superficiality, easy language, even vulgar language will help to make the text popular, part of popular culture. But you are no longer in control of the text. Thanks for this information. It is a shame that this book is not available in English, but it seems that some climate scientists at least have become more reflexive and cautious in their communication activities. I suppose they need to in the current political climate. This may be quite different for the Coxes of this world who deal with relatively uncontentious topics in their Sunday night broadcasts to mass audiences. They may of course also attempt to steer the politics of science and science funding, but that again is quite different from the political atmosphere around climate science and climate politics. When astronomer Carl Sagen was featured in a television series in 1980, he was frequently filmed looking up and over the camera, as if gazing out across the galaxy. And they'd put a light behind him, such that there appeared to be a halo of heavenly light around his head. There's something that happens to scientists when they get on television. Seems to me that one should first read up on readerly and writerly before talking about it. The concept and distinction of texts into these categories (and more) is older than you think. Just read Roland Barthes. Anon - ... and your point is? "The humanities is having its funding cut, and the humanities is a tool for sceptical enquiry, including about science. Science is also a tool for sceptical enquiry, but not when it’s shrouded in reverence." It would be great to see more irreverent science programming. I think this is what BBC's recent Story of Science was angling for ("power, passion, rivalry") but still ended up following a lot of narrative and popular science conventions. Adam Curtis probably goes furthest in being critical about science & tech, but the man's a genre in his own right. Of course, irreverence is probably not going to get anyone newly interested in science, but science's darker human dramas and politics can provide ample material for compelling stories (and here the history of the social sciences have a lot to contribute). Ultimately we expect science popularization to be more than entertainment, which I think accounts for a lot of reactions to this piece. It should inform, inspire, etc. I also think science popularizations can serve a public good by moving beyond old conventions (described and critiqued by Roger Silverstone in the 80s) and experimenting with new forms of presentation. This won't result in any more funding for anyone, and it may be harder to accept (not as readily intertextual - fewer familiar reference points), but I'd argue the public good could with a corrective to all the "gee whiz". Thanks Mike for drawing the attention to Adam Curtis's documentary films. There is a remarkable work on the influence of Ayn Rand (among others), called ALL WATCHED OVER BY MACHINES OF LOVING GRACE. We had a thread on the poem by the same title (written by Richard Brautigam). I agree with the need for irreverence. But what are the opportunities to produce such works? Where is the market for them? OK, the BBC produces them, but how visible are they? Field is a marginal figure compared to the mainstream gee whiz. on What is the problem with science popularization? Will we know soon who 'Mr FOIA' is?